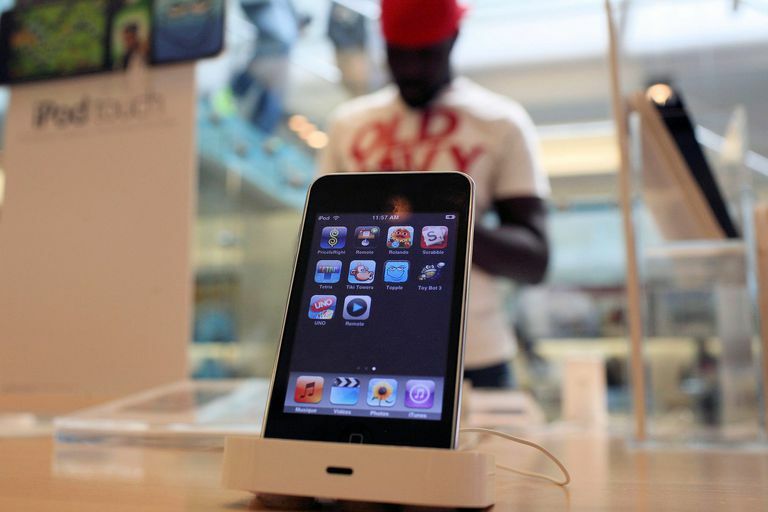 Despite its small screen and keypad, several features built into Apple's iPod touch make it accessible to users who are blind or visually impaired. The iPhone's popularity among blind users makes the iPod touch—requires no phone plan yet supports most of the same apps—a cost-effective entry point for Mac users seeking the benefits of a mobile device. The two basic features that make iPod touch accessible to low-vision users are VoiceOver and Zoom. The first reads aloud what appears onscreen; the second magnifies content to make it easier to see. VoiceOver is a screen reader that uses text-to-speech to read aloud what's onscreen, confirm selections, typed letters and commands, and provide keyboard shortcuts to make application and web page navigation easier. With iPod touch, users hear descriptions of any onscreen element their fingers touch. They can then gesture (e.g. double tap, drag, or flick) to open an app or navigate to another screen. On websites, users can touch any part of a page to hear what's there, which approximates the orientation sighted people experience. This differs from most screen readers, which provide linear navigation among page elements. VoiceOver speaks app names, status information such as battery level and Wi-Fi signal strength, and time of day. It uses sound effects to confirm actions such as app downloads and when you navigate to a new page. VoiceOver can tell if your iPod display is in landscape or portrait mode and if the screen is locked. It integrates with Bluetooth keyboards such as the BraillePen so users can control the device without touching the screen. To use VoiceOver on an iPod touch, you must have a Mac or PC with a USB port, iTunes 10.5 or later, an Apple ID, and an Internet and Wi-Fi connection. To activate VoiceOver, click the Settings icon on the home screen. Select the General tab, scroll down and select Accessibility, and then VoiceOver at the top of the menu. Under VoiceOver, slide the white Off button to the right till the blue On button appears. Once VoiceOver is on, touch the screen or drag your fingers across it to hear item names spoken aloud. Tap an element to select it; double-tap to activate it. A black box—the VoiceOver cursor—encloses the icon and speaks its name or description. The cursor can aid low-vision users in confirming their selections. For privacy, VoiceOver includes a screen curtain that turns off the visual display. VoiceOver works with all built-in applications such as Music, iTunes, Mail, Safari, and Maps, and with most third-party applications. Turn on Speak Hints under VoiceOver Practice to hear additional instructions on apps or features you encounter. The Zoom app magnifies everything on screen—including text, graphics, and video—from two to five times its original size. Enlarged images maintain their original clarity, and, even with motion video, Zoom doesn't affect system performance. You can enable Zoom during your initial device setup using iTunes, or activate it later through the Settings menu. To activate Zoom, go to the Home screen and press Settings > General > Accessibility > Zoom. Slide the white Off button to the right till the blue On button appears. Once Zoom is activated, a double-tap with three fingers magnifies the screen to 200%. To increase magnification to as much as 500%, double-tap and then drag three fingers up or down. If you magnify the screen beyond 200%, Zoom automatically returns to that magnification level the next time you zoom in. To move around the magnified screen, drag or flick with three fingers. Once you start dragging, you can use just one finger. All of the standard iOS gestures—flick, pinch, tap, and rotor—still work when the screen is magnified. You cannot use Zoom and VoiceOver at the same time. With Voice Control, users ask iPod touch to play a specific album, artist, or playlist. To use Voice Control, press and hold the Home button until the Voice Control screen appears and you hear a beep. Speak clearly and use only iPod commands. These include: Play artist..., Shuffle, Pause, and Next song. You can also initiate FaceTime calls with the Voice Control command, FaceTime followed by a contact's name. Speak Selection reads aloud any text you highlight within applications, emails, or web pages—regardless of whether VoiceOver is enabled. Turn on Speak Selection and adjust the speaking rate in the Accessibility menu. Use Large Text (below Zoom in the Accessibility menu) to select a larger font size for any text appearing in Alerts, Calendar, Contacts, Mail, Messages, and Notes. Font size options are: 20, 24, 32, 40, 48, and 56. Users who see better with high contrast can change their iPod display by turning on the White on Black button in the Accessibility menu. This reverse video effect works with all applications, on the Home, Lock, and Spotlight screens, and can be used with Zoom and VoiceOver. Users who only need VoiceOver, Zoom, or White on Black some of the time can select one of those three to toggle on or off by triple-clicking the Home key. Select Triple Click Home in the Accessibility menu and then choose which setting you'd like to toggle.